This tutorial shows the use of timers and interrupts for Arduino boards. As Arduino programmer you will have used timers and interrupts without knowledge, because all the low level hardware stuff is hidden by the Arduino API. Many Arduino functions uses timers, for example the time functions: delay(), millis() and micros() and delayMicroseconds(). The PWM functions analogWrite() uses timers, as the tone() and the noTone() function does. Even the Servo library uses timers and interrupts. A timer or to be more precise a timer / counter is a piece of hardware builtin the Arduino controller (other controllers have timer hardware, too). It is like a clock, and can be used to measure time events. The timer can be programmed by some special registers. You can configure the prescaler for the timer, or the mode of operation and many other things. The controller of the Arduino is the Atmel AVR ATmega168 or the ATmega328. These chips are pin compatible and only differ in the size of internal memory. Both have 3 timers, called timer0, timer1 and timer2. Timer0 and timer2 are 8bit timer, where timer1 is a 16bit timer. The most important difference between 8bit and 16bit timer is the timer resolution. 8bits means 256 values where 16bit means 65536 values for higher resolution. 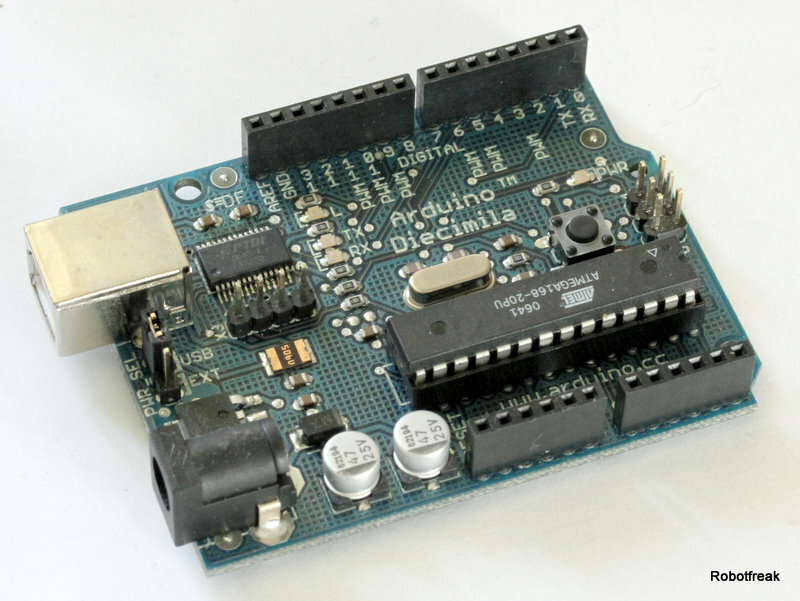 The controller for the Arduino Mega series is the Atmel AVR ATmega1280 or the ATmega2560. Also identical only differs in memory size. These controllers have 6 timers. Timer 0, timer1 and timer2 are identical to the ATmega168/328. The timer3, timer4 and timer5 are all 16bit timers, similar to timer1. All timers depends on the system clock of your Arduino system. Normally the system clock is 16MHz, but for the Arduino Pro 3,3V it is 8Mhz. So be careful when writing your own timer functions. The timer hardware can be configured with some special timer registers. In the Arduino firmware all timers were configured to a 1kHz frequency and interrupts are gerally enabled. Timer0 is a 8bit timer. In the Arduino world timer0 is been used for the timer functions, like delay(), millis() and micros(). If you change timer0 registers, this may influence the Arduino timer function. So you should know what you are doing. Timer1 is a 16bit timer. In the Arduino world the Servo library uses timer1 on Arduino Uno (timer5 on Arduino Mega). Timer2 is a 8bit timer like timer0. In the Arduino work the tone() function uses timer2. Timer 3,4,5 are only available on Arduino Mega boards. These timers are all 16bit timers. TCCRx – Timer/Counter Control Register. The prescaler can be configured here. TCNTx – Timer/Counter Register. The actual timer value is stored here. TIMSKx – Timer/Counter Interrupt Mask Register. To enable/disable timer interrupts. TIFRx – Timer/Counter Interrupt Flag Register. Indicates a pending timer interrupt. Verify the result against the maximum timer counter value (31250 < 65536 success) if fail, choose bigger prescaler. Timers can be configured in different modes. The program running on a controller is normally running sequentially instruction by instruction. An interrupt is an external event that interrupts the running program and runs a special interrupt service routine (ISR). After the ISR has been finished, the running program is continued with the next instruction. Instruction means a single machine instruction, not a line of C or C++ code. Interrupts can generally enabled / disabled with the function interrupts() / noInterrupts(). By default in the Arduino firmware interrupts are enabled. Interrupt masks are enabled / disabled by setting / clearing bits in the Interrupt mask register (TIMSKx). When an interrupt occurs, a flag in the interrupt flag register (TIFRx) is been set. This interrupt will be automatically cleared when entering the ISR or by manually clearing the bit in the interrupt flag register. The Arduino functions attachInterrupt() and detachInterrupt() can only be used for external interrupt pins. These are different interrupt sources, not discussed here. A timer can generate different types of interrupts. The register and bit definitions can be found in the processor data sheet (Atmega328 or Atmega2560) and in the I/O definition header file (iomx8.h for Arduino, iomxx0_1.h for Arduino Mega in the hardware/tools/avr/include/avr folder). The suffix x stands for the timer number (0..5), the suffix y stands for the output number (A,B,C), for example TIMSK1 (timer1 interrupt mask register) or OCR2A (timer2 output compare register A). Timer overflow means the timer has reached is limit value. When a timer overflow interrupt occurs, the timer overflow bit TOVx will be set in the interrupt flag register TIFRx. When the timer overflow interrupt enable bit TOIEx in the interrupt mask register TIMSKx is set, the timer overflow interrupt service routine ISR(TIMERx_OVF_vect) will be called. When a output compare match interrupt occurs, the OCFxy flag will be set in the interrupt flag register TIFRx . When the output compare interrupt enable bit OCIExy in the interrupt mask register TIMSKx is set, the output compare match interrupt service ISR(TIMERx_COMPy_vect) routine will be called. When a timer input capture interrupt occurs, the input capture flag bit ICFx will be set in the interrupt flag register TIFRx. When the input capture interrupt enable bit ICIEx in the interrupt mask register TIMSKx is set, the timer input capture interrupt service routine ISR(TIMERx_CAPT_vect) will be called. There is fixed relation between the timers and the PWM capable outputs. When you look in the data sheet or the pinout of the processor these PWM capable pins have names like OCRxA, OCRxB or OCRxC (where x means the timer number 0..5). The PWM functionality is often shared with other pin functionality. Timer1 and Timer3 library. Using timer1 or tiner3. The easy way to write your own timer interupt service routines. I have ported these libraries to different timers for Arduino Mega. All ported libraries can be found in the attached file. There exists some pitfalls you may encounter, when programming your Arduino and make use of functions or libraries that uses timers. Servo Library uses Timer1. You can’t use PWM on Pin 9, 10 when you use the Servo Library on an Arduino. For Arduino Mega it is a bit more difficult. The timer needed depends on the number of servos. Each timer can handle 12 servos. For the first 12 servos timer 5 will be used (loosing PWM on Pin 44,45,46). For 24 Servos timer 5 and 1 will be used (loosing PWM on Pin 11,12,44,45,46).. For 36 servos timer 5, 1 and 3 will be used (loosing PWM on Pin 2,3,5,11,12,44,45,46).. For 48 servos all 16bit timers 5,1,3 and 4 will be used (loosing all PWM pins). Pin 11 has shared functionality PWM and MOSI. MOSI is needed for the SPI interface, You can’t use PWM on Pin 11 and the SPI interface at the same time on Arduino. On the Arduino Mega the SPI pins are on different pins. tone() function uses at least timer2. You can’t use PWM on Pin 3,11 when you use the tone() function an Arduino and Pin 9,10 on Arduino Mega. The first example uses the timer1 in CTC mode and the compare match interrupt to toggle a LED. The timer is configured for a frequency of 2Hz. The LED is toggled in the interrupt service routine. same example like before but now we use the timer overflow interrupt. In this case timer1 is running in normal mode. The timer must be preloaded every time in the interrupt service routine. 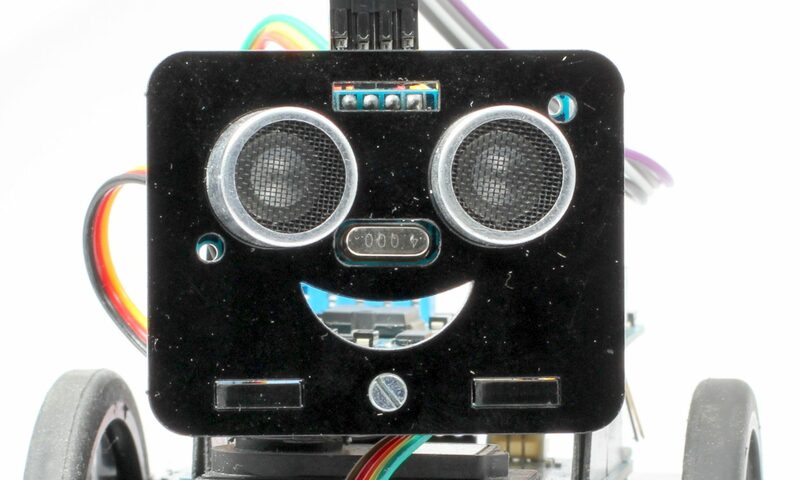 The next example is part of my Ardubot project. It uses timer2 and the compare match interrupt to read the encoder inputs. Timer2 is initialized by default to a frequency of 1kHz (1ms period). In the interrupt service routine the state of all encoder pins is read and a state machine is used to eliminate false readings. Using the timer interrupt is much easier to handle than using 4 input change interrupts. The signals of a quadrature encoder is a 2bit Gray code. Only 1 bit is changing from state to state. A state machine is perfect to check the signal and count the encoder ticks. The timer must be fast enough, to recognize each state change. For the Pololu wheel encoders used here, the 1ms timer is fast enough. Example 3 has been updated to work with Arduino v1.x. Added ArduinoTimer101.zip examples source code for Arduino v1.x . Q: Why have some variables the volatile keyword, like encodeDeltaLt and encodeDeltaRt in the examples above?